Update: On Sept. 7, the official "Pokemon Go" website announced that "Pokemon Go" Plus "will be available in much of the world next week, on Sept. 16." Earlier: "Pokemon Go" has already taken over the country, but it seems that even more "Pokemon Go" may be coming. 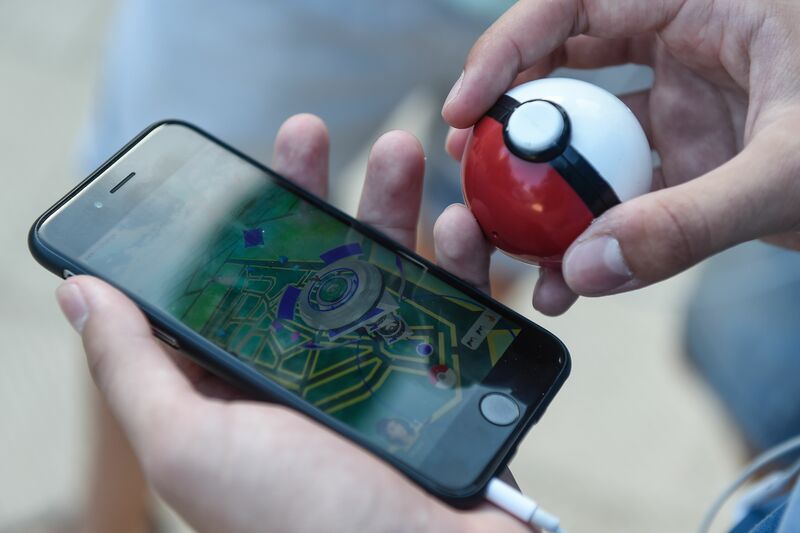 There's something called "Pokemon Go" Plus coming our way — and I'm not sure any of us are ready. So what exactly is "Pokemon Go" Plus? And when is it getting here? Well, fortunately for our collective sanity, it seems that "Pokemon Go" Plus won't be here for a while — the makers haven't confirmed an official release date, but retailers have listed it as available starting at the end of July. Which means we might have some time to calm down before even more Pokemon catching powers are bequeathed to us. The device will be a wearable that can be worn on the wrist or clipped to the lapel which connects to your "Pokemon Go" app via Bluetooth. It blinks and vibrates when you're near a Pokestop and allows users to add items at Pokestops to their inventory by tapping the button on the device. It also flashes if a Pokemon is nearby, and allows users to throw a Pokeball to capture it, again by pressing the button on your "Pokemon Go Plus." So instead of just having a device in your pocket that lets you capture Pokemon, you can soon also have one on your wrist as well. Will wonders never cease? Unlike the app, however, "Pokemon Go" Plus isn't free. (I mean, it's a piece of wearable tech, so it makes sense that it would cost actual money.) The device is currently priced at $34.99 — and it's looking like it's going to be popular, too: Pre-orders have already sold out at Game Stop, and people are already offering to resell their pre-ordered devices on eBay for more than double the price. More things that people who don't play "Pokemon Go" will just never understand, I suppose, but hey, if it's your thing, go forth. If you're a Pokemon fan who doesn't want to spend your hard-earned money for a wearable, don't worry, though. You don't need the wearable to play "Pokemon Go," and it doesn't appear to unlock any extra features in the game, either. It just ensures that you don't have to be staring at your smartphone all the time if you want to play. However, that is a pretty important option when you think about it. Not only is staring at your screen annoying, it also means you aren't paying as much attention to where you're going — which is potentially dangerous. Just like people have been injured and even killed taking selfies, people could potentially get very hurt playing "Pokemon Go" if they're not abiding by real world safety and etiquette rules. So it's probably a smart move for the game makers to include something a little less distracting for interested players. Plus, it means you can tell your inner '90s child that you have an actual Pokemon-catching Pokeball on your wrist. Would you have ever imagined?